Dr. Energy Saver of Hudson Valley is the number one source for all your home comfort and energy efficiency needs. As part of the largest energy services contractor network in the country, Dr. Energy Saver, we are able to provide superior energy solutions that we custom design to address the unique problems in your home. Our slogan is "We Fix Uncomfortable Homes"! We accomplish this by using our custom energy solutions to improve your home&apos;s overall comfort while helping to reduce your monthly energy bills, improve the air quality, and even increase the value of your home. If you are dealing with any home comfort issues, contact us today for a FREE home energy consultation! We serve Middletown, Cornwall, Pine Bush, and surrounding towns in the Hudson Valley area. I chose you because I believed that you provided the best value! For years, our team has helped local homeowners transform their energy consuming homes into more comfortable and energy efficient living spaces. Not only have we provided exceptional service, but immediate results. Homeowners notice an instant change in how comfortable their home is and are pleased with the work we have done. From spray foam insulation and air sealing, to attic and basement insulation, we have provided homeowners quality service that has made a lasting impact on their home. We take pride in helping homeowners improve their home&apos;s energy efficiency and overall comfort all throughout Hudson Valley, New York. This home had no insulation in its walls was losing heat. The homeowner was complaining about high heating bills and our Dr. Energy Saver team fixed this problem with closed cell spray foam which insulated the walls and made them air tight. This simple process can be done on most walls. This Rockland county family was looking to renovate their third story attic space. They called Dr. Energy Saver to ensure that it would be energy efficient and comfortable. Our Open Cell Spray Foam was applied to the roof slopes and exterior walls, creating an air-tight seal. Now this area has become a usable office space, plus it provides added health benefits and savings for this growing family. This homeowners kitchen pipes were freezing due to inadequate insulation in walls. By installing Open Cell Spray Foam Insualtion the freezing pipes are no longer a problem for this homeowner. This also makes a more effiecent and comfortable kitchen. What separates us from the rest? We focus on what matters most. We find the largest home energy weaknesses and address those first for the greatest benefits. Our comprehensive home energy evaluations allow us to diagnose and pin-point the areas of your home that need the most attention, and we can correct them. Having a wide range of services allows us to make any improvements we believe offer the best benefit based on your home&apos;s situation. As an authorized Dr. Energy Saver dealer, our team undergoes extensive training to better understand all home energy issues, and how to cure them. At Dr. Energy Saver of Hudson Valley, we take great pride in our products and services, and we make sure the job is done right the first time. Contact us today for a FREE quote! We serve homes in Middletown, Cornwall, Pine Bush and the surrounding areas. 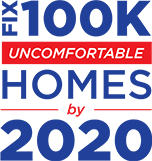 We fix uncomfortable homes!